We had a great time making Rice Krispy pumpkins together. Here’s more pics from that wonderful event! 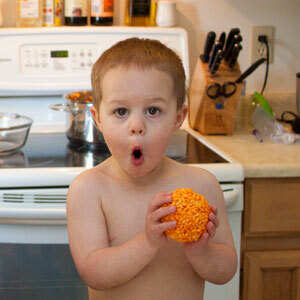 Is that a look of wonderment over the goodness that is Rice Krispy treats?